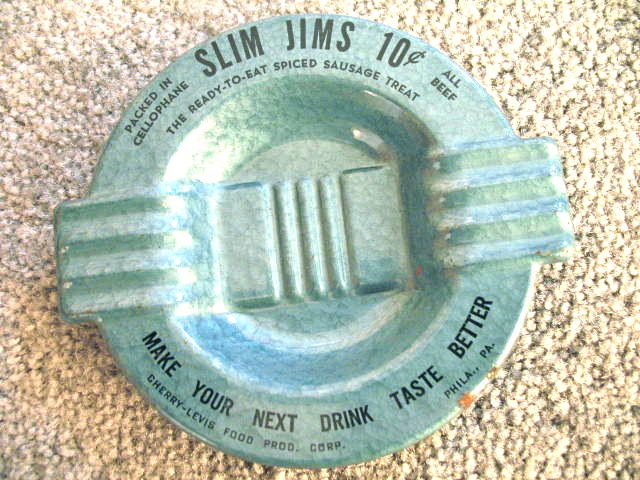 If any ashtray could be described as “cool,” in today’s non-smoking culture, this one certainly qualifies. 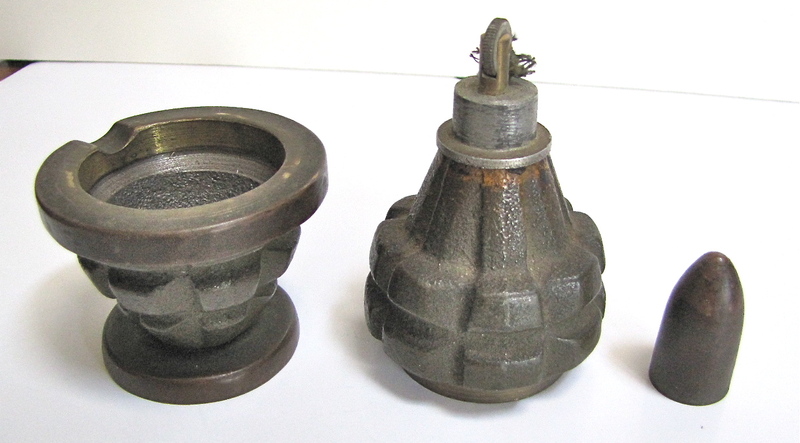 The top half of the grenade lifts up to reveal an ashtray in the bottom half. 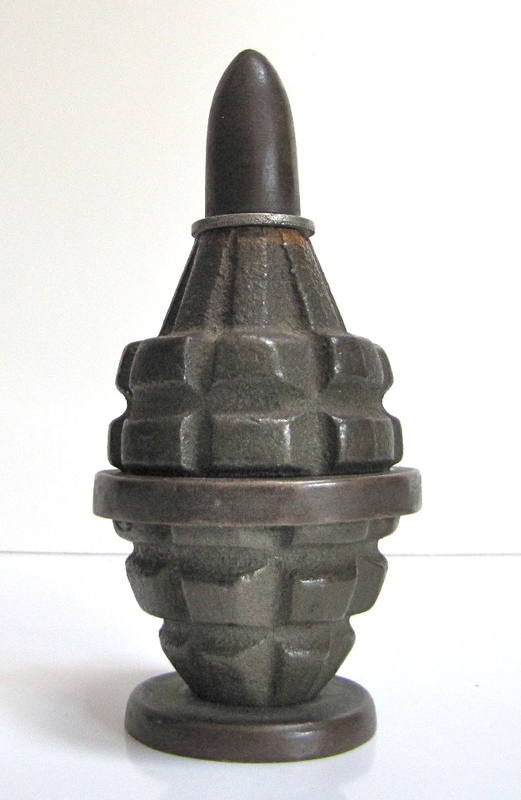 The pointed shell on the top half conceals a lighter underneath. I’m not really sure if anyone has a definitive answer. I guess he could be used for either. In any case, I put him up for “adoption” on eBay, and Philip Lamb took him in. Now known as “Johnny,” it looks like he went to a very good home. 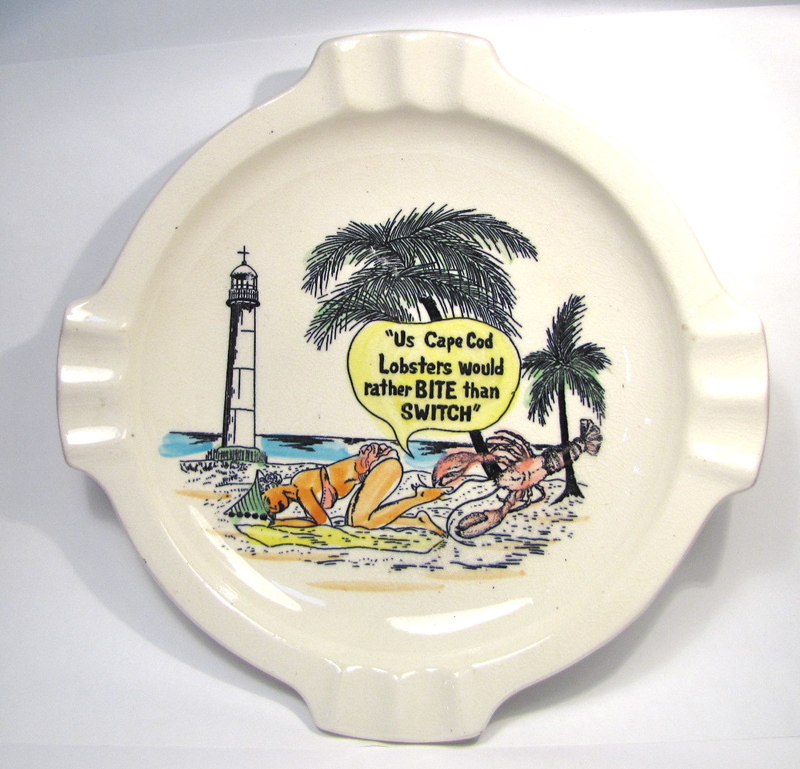 They don’t make funny ashtrays like they used to.